20 x Grey resin parts, Photo etch and single sided A5 instruction sheet. Great detail to enhance any 1980s/90’s era fighter. Development of the modern AIM-7 Sparrow began in 1955 by Raytheon. 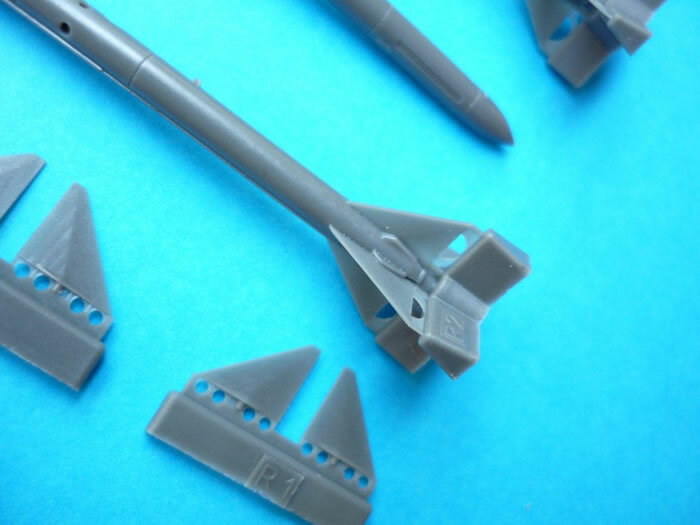 With the AIM-7M introduced a new inverse monopulse seeker to improve look-down/shoot-down capability. 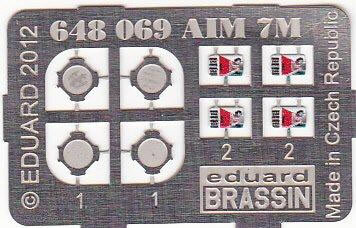 Other new features of the AIM-7M were a digital computer, autopilot, and an active fuse. The autopilot enabled the AIM-7M to fly optimized trajectories, with target illumination necessary only for mid-course and terminal guidance. 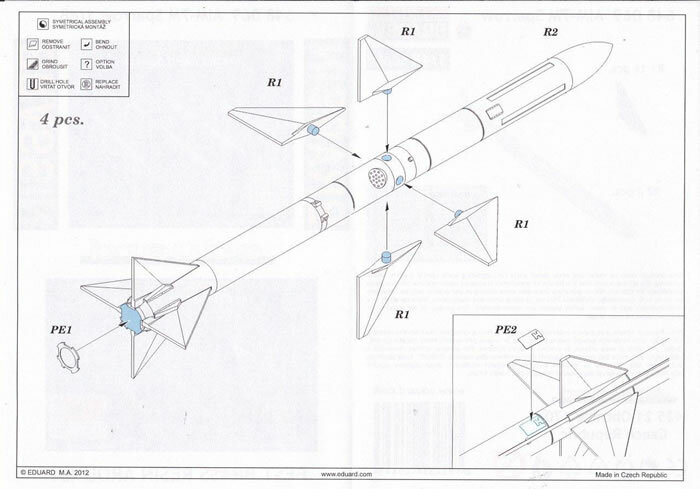 The AIM-7M also incorporated a new blast-fragmentation warhead. The first firing of a YAIM-7M occurred in 1980, with the AIM-7M entered production in 1982. This is another very simple weapons kit to enhance any Sparrow equipped fighter. 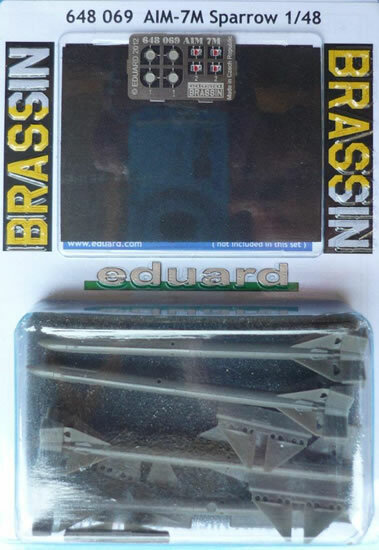 The level of casting and detail is of the high standard we have come to expect from Eduard. 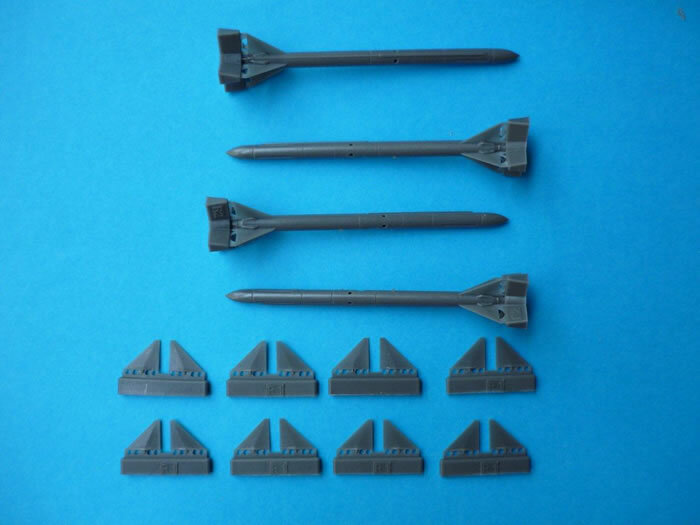 Minimal clean-up as always, and the only thing that would be nice would be a placement template to allow you to mount the forward fins in the correct position (all at 90 degrees to each other). Finally, I really would like to see a painting guide and decals included to round out this product.